Innovation is THE word of the moment. For businesses to stay ahead of the curve in today’s current climate, they must anticipate their clients’ needs - and investment is key. Seaham-based mailing house, MetroMail, understand this and after a challenging year which saw a number of their competitors fall into administration, MetroMail are stronger than ever. Part of the Saga Group of companies the mailing experts specialise both in direct mail and transactional mail, offering all data, print and fulfilment services under one roof. One of their latest investments is their Moll one-piece mailer machine. This machine creates a number of formats and folds to suit clients’ needs. In addition, it glues all sides of the document, making it eligible for a Mailmark® barcode and, therefore, a discounted postal rate. Why should businesses add one-piece mailers to their marketing mix? In general, direct mail can generate a great return on investment when done correctly. In fact, Royal Mail have found that, ‘as a result of receiving direct mail 92% of people were driven to online activity [and] 87% were influenced to make online purchases’ (Royal Mail 2014: 29). One-piece mailers are a great example of a cost effective, punchy mail piece that is more environmentally friendly than traditional mailers such as polywrapped brochures. By using information captured in clients’ databases, MetroMail can create truly dynamic, highly personalised mailers which are targeted to an individual’s interests. MetroMail have found that this has allowed some customers to convert from costly brochures to small, one-piece mailers which are targeted to an individual. This, therefore, drastically increases their return on investment. However, the power of personalisation still isn’t something that is utilised by everyone, only ‘9% [of businesses] personalise based on more sophisticated insights such as attitudinal data’ (Saville 2016:05). 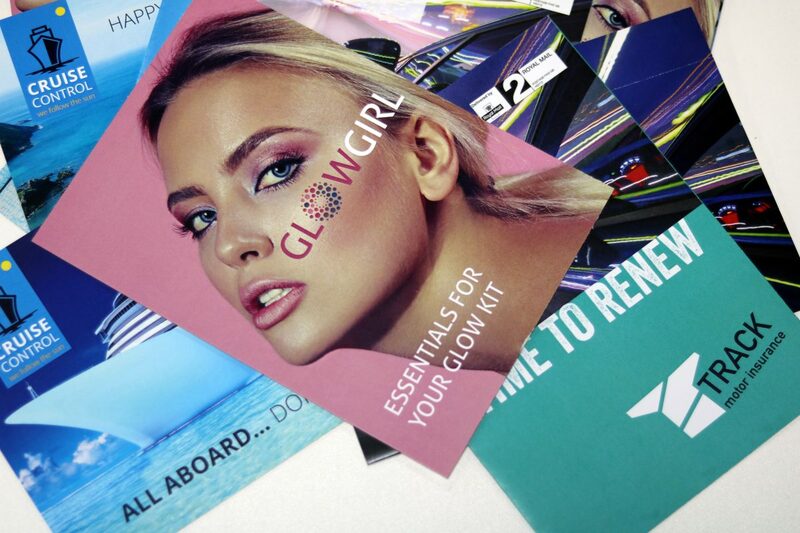 In addition, one-piece mailers can be used for reactive marketing. For example, if a customer goes on to your website and places some items in their basket, but decides not to buy them, you can send them a one-piece mailer containing discounts and incentives for those products, and this can land on their doormat 24-48 hours after they have visited your website. This can have a much stronger impact than email, ‘51% of people delete email within two seconds and only 27% of consumers spend time reading them’ (Royal Mail 2014: 13). One-piece mailers can be very tactile and aesthetic; they can be laminated for a different effect, die cut into different shapes or even scented so that they smell a certain way when they land on your doormat. Continuing along the lines of investment, MetroMail have a number of new machines due to arrive in 2019, all of which are part of Chris Pygall’s strategy for change. These include 2 new Sitma 1050’s with paperwrapping ability and a Böwe Systec Fusion inserting machine. In addition, there were a number of investments in 2018, including a Pitney Bowes Epic inserting machine, 2 offline-line inkjets, a Horizon StitchLiner booklet maker and, of course, their Moll one-piece mailer machine. These investments have opened up MetroMail’s customers to a new, exciting future of direct mail.